Standard first aid training is one of the most popular and comprehensive first aid and CPR courses that workplace approved providers have to offer. It is a 14 to 18 hour course that is normally completed within two days. Participants that complete this comprehensive course receive a wallet sized award that is valid for 3 years. This website is designed for candidates looking for more information about standard first aid training and how to register for a course. 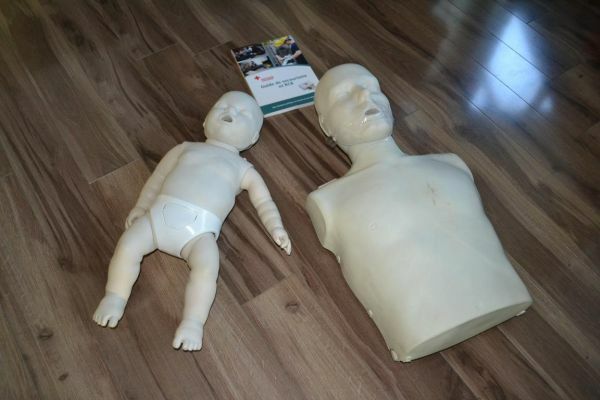 Four major providers offer standard first aid and CPR courses. Those providers are: St Mark James Training, Lifesaving Society, Heart and Stroke Foundation and St. Johns Ambulance. All of these providers are mandated to follow roughly the same guidelines and incorporate the same curriculum. To register for a workplace approved standard first aid course visit our locations page by clicking here. We are partnered with a large number of providers throughout Canada that have the highest standards and lowest prices. Candidates registered in this course will learn to recognize and treat the following emergencies. Diabetic emergencies including hypoglycaemic and hyperglycaemic. For more information about standard first aid programs and for details about standard first aid training browse throughout the website or click on one of the highlighted terms. By registering for standard first aid training you will learn the skills to recognize emergencies and have the knowledge to save a life.